This workshop explores the Native American principles such as harmony, hope and respect as they relate to Ericksonian brief therapy, and introduces exercise for grounding and internal stability that ward off stress, depression and daily conflict and that simplify complex decision-making in life, all of which bring clients to therapy. 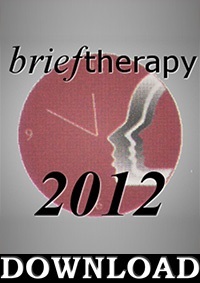 Psychotherapy is a blend of art and science. However, the art of using a conceptual framework to co-create solutions is overlooked in favor of medical paradigms. This short course focuses on non-medical understandings of anxiety and depression creation to enable the clinician to be more effective in co-creating solutions. Case discussion and lecture for all skill levels. Learn how to access deep levels of mind-body functioning for remission of chronic anxiety and depression. Essential neurobiological communication (ENBC) incorporates a form of body language known as ideomotor signaling. Affected individuals learn to fully manage these chronic conditions. Resolve past emotion using a noninvasive protocol integrating a progressive ratification sequence for grounding emotional adjustments in thought, perception and behavior. Abraham Lincoln suffered from what was known as “melancholy” most of his life. In this presentation, you will learn the effective coping and self-treatment strategies he used to deal with and overcome lifelong depression. An inspirational talk with lessons for modern clinicians and clients.